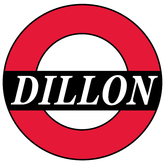 Dillon Supply Company Inc is the retailer and distributer of industrial and forklift products. Dillon Supply Company Inc was founded in the year 1914 and has its headquarters located in Raleigh, North Carolina. The products offered by the company includes sealants, tapes, adhesives, chemicals, lubricants, paints, and straps, abrasives, cable and hose reels, fasteners, clamps, cutting tools, electrical and lighting products, electrical tools, HVAC products, janitorial equipment, hand tools, marking tools, measuring and leveling tools, MRO supplies, plumbing equipment, pneumatics, power transmission products, power tools, pumps, safety products, storage and handling products, and welding supplies. Dillon Supply Company Inc is a subsidiary to Descours Et Cabaud SA. There are currently 0 consumer reviews about Dillon Supply CO available. Share your review. Please take a note that you are about to post a public review about Dillon Supply CO corporate office on CorporateOffice.com. This review will be public, so please do not post any of your personal information on this website. If you would like to contact the corporate offices of Dillon Supply CO, please use their contact information such as their phone number, website, and address listed above to contact them. However, sometimes staff from Dillon Supply CO headquarters do read the reviews on this website.